I’m a hard man to impress when it comes to bass jigs. 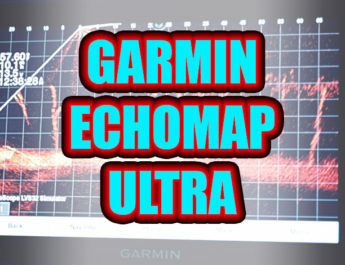 I started making my own several years ago, and have since developed a simple and effective system for fishing them. That said, when I came across the Trendsetter Tackle Finesse Jig I knew that they would have a place in my arsenal throughout the season. These qualities make for an outstanding value for the angler. Quality components are one thing, but how about versatility? Trendsetter offers finesse jigs in 15 great colours and three sizes. The jigs are available with and without rattles, and the unique sizes of 5/16, 3/8, and 7/16oz is another key feature for me. These help to fill any gaps in bait presentation, which is key when looking at the finesse approach that these jigs were designed for. I have found that my standard 1/4oz finesse jig was just a tad too light for the long, accurate pitches I sometimes require. The 5/16oz (trivial as it may sound) is perfect in these circumstances. The hook itself has a horizontal line tie, which is something I am firm believer in. I feel a horizontal line tie will always come though cover and hook fish better because it keeps the jig in an upright position. Many people have also questioned the durability of Trokar hooks, but I don’t feel that will hurt this jigs performance. 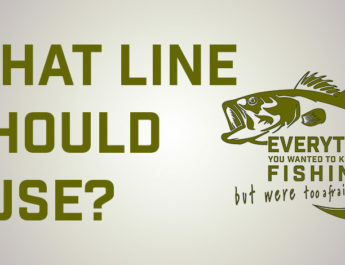 In finesse situations, cover is often sparser and the tackle used to land fish is often lighter, which negates the need for a heavier gauge wire. In fact, I would suggest that the incredible sharpness of Trokar is an asset when targeting finicky fish with lighter line and a lighter rod. Finally, the weed guard on these jigs are well made, angled correctly, and are left much longer than is required. This added length allows the angler to trim the weed guard to his exact requirements. On all of the 12 jigs that I purchased, the fibres were glued in securely. Not in the market for finesse jigs? 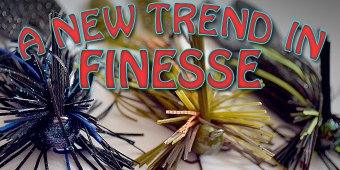 Well Trendsetter Tackle offers spinnerbaits, brush jigs, flippin’ jigs, shakey heads, football jigs and other tackle. Their prices and shipping are very fair, their communication is excellent, and their overall service is excellent. They have most certainly earned my business.